This is due to the application having two launcher components, and Market is confused and therefore not able to launch. Strangely, some phones do not face the same problem. 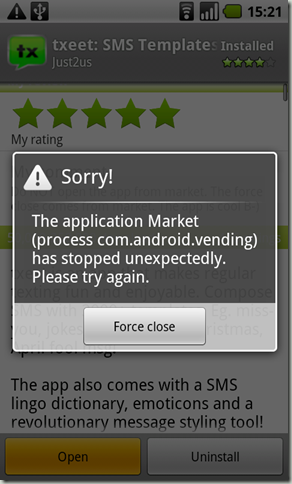 Though this is a bug on Android side, the application can resolve by simply adding a line in the manifest file.